What is Avamys nasal spray? 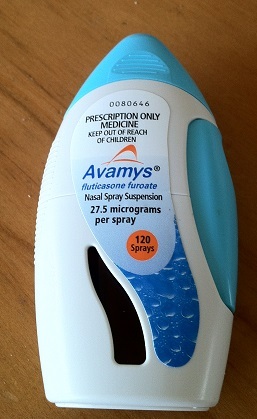 Avamys is an intranasal spray in the strength of 27.5 mcg that contains fluticasone furoate as an active ingredient. 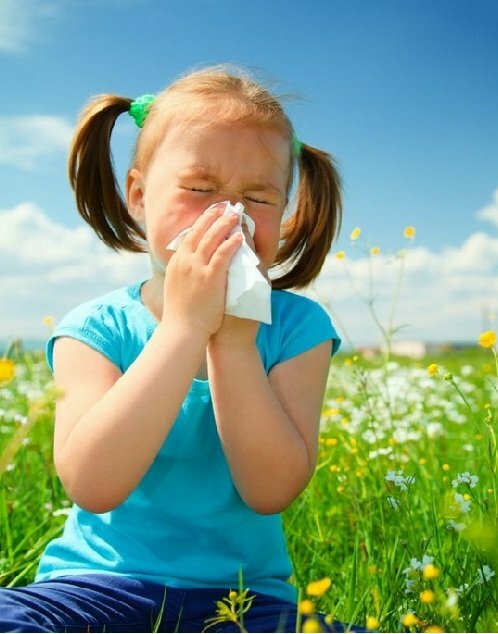 Avamys is mainly used for the treatment of seasonal and perennial allergic rhinitis in patients. Avamys is an effective treatment for rhinitis that ensures delivery of a consistent dose, comfort, and relief. It is so effective due to its award-winning spray device. Avamys is also beneficial in providing symptomatic relief for 24 hours. How Avamys nasal spray works? Avamys nasal spray contains fluticasone furoate that is a synthetic corticosteroid with potent anti-inflammatory activity. Fluticasone furoate binds to human glucocorticoid receptor which is highly superior (29.9 times) to dexamethasone. Fluticasone has known to binds more avidly to respiratory tissue than other corticosteroids. The mechanism of fluticasone furoate for allergic rhinitis is not known. There are multiple cell types (eg. Mast cells, eosinophils, neutrophils, macrophages, and lymphocytes) and mediators (eg. Histamine, eicosanoids, leukotrienes, and cytokines) responsible for inflammation. These cells are affected by corticosteroids, therefore, reduce the inflammation associated with rhinitis. Avamys should be administered as per doctor’s recommendations. The recommended dose of this medication is two sprays in each nostril once a day in patients aged 12 years and above. The dosage can be reduced to half and should be administered as one spray each nostril once symptoms are controlled. One should use the minimal effective dose of Avamys in order to avoid drug dependence. The recommended dose for the children aged between 6 to 12 years is one spray in each nostril. The dose can be increased to two sprays if conditions worsen. Avamys should be used regularly at the same time to get the most benefit of this medicine. The effect of Avamys nasal spray can be seen after 8 hours of the first spray directly into the nostrils. One should take the medicine for a long time to get its maximum benefit. Exposure to pollens, dust, and motes can worsen the rhinitis, so regular use of Avamys is necessary to control the symptoms. You are allergic to any ingredient in Avamys nasal spray. Avamys is a nasal spray suspension. Each 100 mg spray delivers about 50 mcg of an active ingredient. What is the proper use of Avamys nasal spray? Perennial Allergic Rhinitis (PAR): caused by dust mite and mould. Can Avamys nasal spray proper be used in pregnancy? It is not safe to use Avamys nasal spray during pregnancy, as the safety of this medication in pregnancy is not yet established. Once administered, very small amount of medicine passes into the blood stream but it should be used only benefits outweigh the risk. It should be used in case of need only in order to avoid any risk to the developing fetus. A pregnant woman should consult her doctor before taking this medication. Can Avamys nasal spray be used during breastfeeding? Due to its intranasal mode of administration, it is unlikely to pass into the breast milk. Still, precautions are needed and nursing mother should use it with caution to avoid any risk of side effect to the neonate. Ask your doctor before taking this medication. Avamys is contraindicated in patients with a hypersensitivity to any of its ingredients. Dosage forms, composition, and packaging should be checked for more information regarding contraindication of this medication. One can also talk to their pharmacist in case of any query regarding contraindications of Avamys. Fluticasone furoate is a medication that is come under the brand name of Avamys and there are many other brands of this medication which are also available in the market.